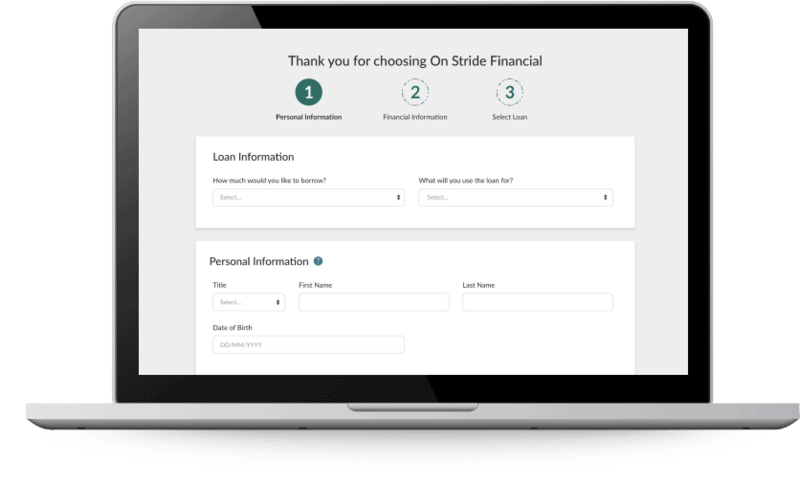 The On Stride Financial loan process explained. Before you begin your application, make sure that you meet our eligibility requirements listed below. We'd hate for you to fill out the application only to be denied because you did not meet the minimum qualifications! If you meet our requirements, you are all set to begin your application. It's three pages long and shouldn't take you long to complete. 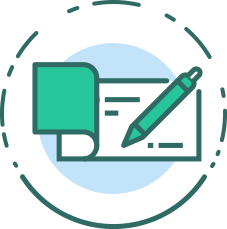 We recommend having your employment information, a recent bank statement, and your bank account and debit card information at the ready to make the application process as smooth as possible. Repayment is as straightforward as the rest of our process. Just choose one of the two available options and your payments will be automatically debited on your scheduled due dates. Payments can be withdrawn from a debit card at no additional cost. If you don't have a debit card, your payments will be withdrawn directly from your bank account. 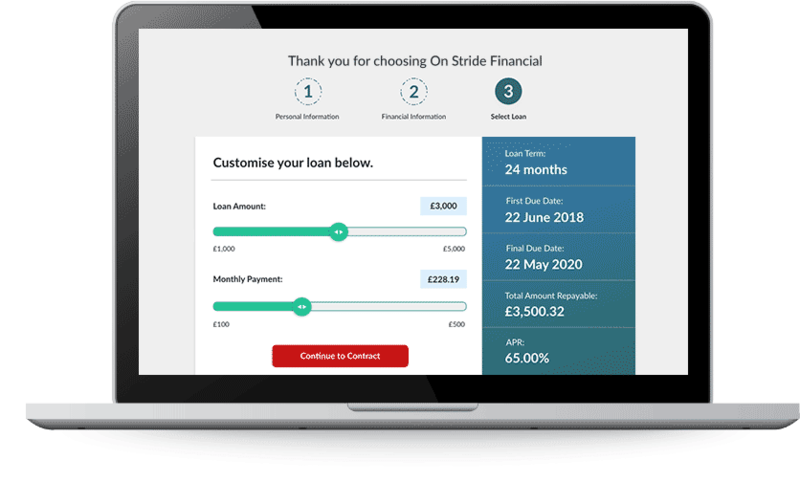 On Stride Financial has been partnering with UK customers since 2014. We believe in helping our customers meet their financial goals with simple, clear-cut financing that is easy to understand and use. Should questions or concerns ever arise, our experienced customer representatives are ready to assist seven days a week.